Imagine getting to play Heifetz’ violin, or Rubinstein’s piano or Casals’ cello or….. Living the dream at Jim Self’s house in Los Angeles. 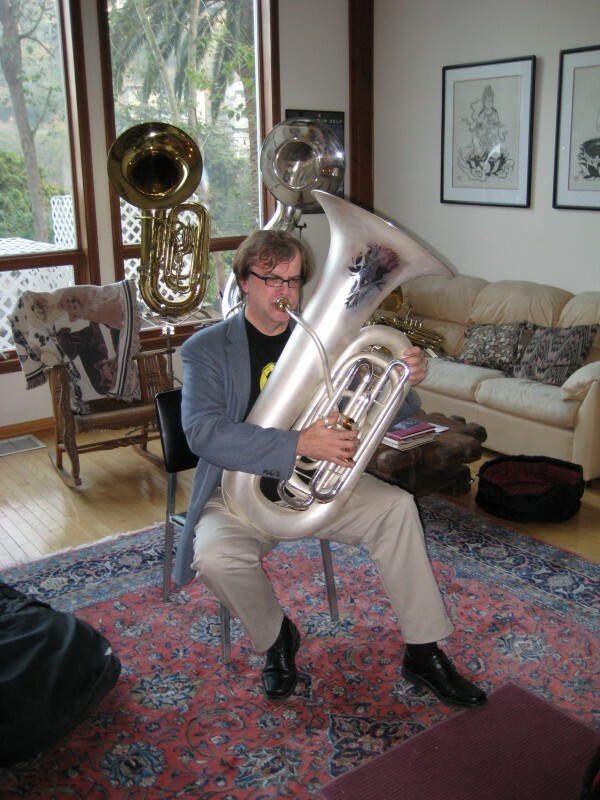 I have to admit that I really didn’t know what to think of playing the tuba after being first handed one in 1967, but one thing was clear – this was the instrument that I heard on my favourite TV show from my youth; The Flintstones!